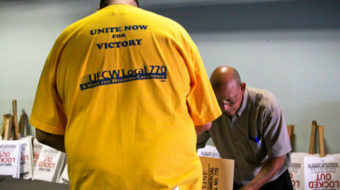 "This contract is a victory for our members, and secures their wages, retirement security, and control over their schedules." 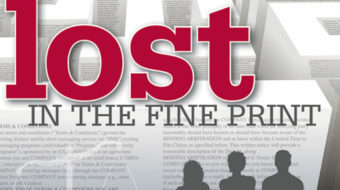 Abstract: Forcing workers to sign away their right to sue or join class action lawsuits against employers violates the National Labor Relations Act, says the 7th Circuit. 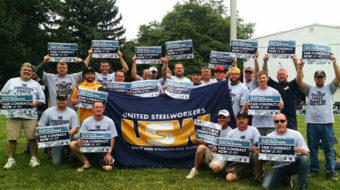 Steelworkers and the nation's top steel companies are at odds in negotiations as the deadline for a new contract approaches. 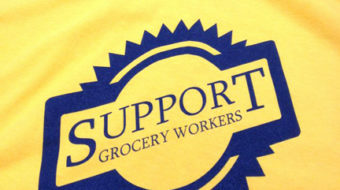 Unionists ratified a new contract with the area's big food chains, and Local 770 passed the 100-store organizing mark at CVS, adding 2,000 members. 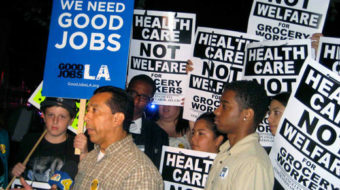 A historic core industry of the two major unions in Southern California, retail food, has begun its every-five-years-or-so cycle of bare-knuckle contract negotiations.